Product prices and availability are accurate as of 2019-04-24 17:51:38 UTC and are subject to change. Any price and availability information displayed on http://www.amazon.com/ at the time of purchase will apply to the purchase of this product. The Glasfloss Z-Line Series pleated filters offer improved performance for virtually every application. All Glasfloss Z-Line pleated filters feature fibers which do not absorb moisture and will not support microbial growth. The Glasfloss Z-Line Series filters achieve a MERV 8 rating per the ANSI/ASHRAE 52.2 Test Standard. The Z-Line Series pleat is available in many standard face dimensions in 1", 2" and 4" depths. Glasfloss Z-Line Series pleated filters incorporate media which is laminated to a galvanized metal that stabilizes the media during operation. The pleats are formed in a radial configuration to ensure proper dust-loading. 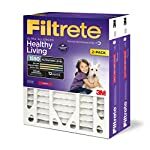 The standard pleated cartridge is bonded into a two-piece heavy-duty beverage board diecut frame that creates a double-wall thickness around the filter and prevents air bypass. The die-cut grilles are internally bonded to the pleat apexes on the air-entry and air-exit sides to ensure maximum integrity and support during the life of the filter. Glasfloss Z-Line Series pleated filters are used in a broad range of installations, from pre-filters to primary filters for computer room units. 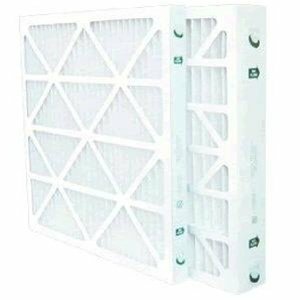 Whether used as primary filters or as pre-filters in multi-stage systems, Glasfloss Z-Line Series pleated filters offer a solution for virtually every residential, commercial, and industrial HVAC application.